Melt the butter and dark chocolate over low heat. When cool, stir in the sugar and eggs. Once mixed, stir in the flour, sour cream and milk chocolate. Pour into a greased and lined 25cm square cake pan and bake for 45-50 minutes at 160°C. Set aside to cool completely. Use a sharp knife to cut into rectangular pieces. 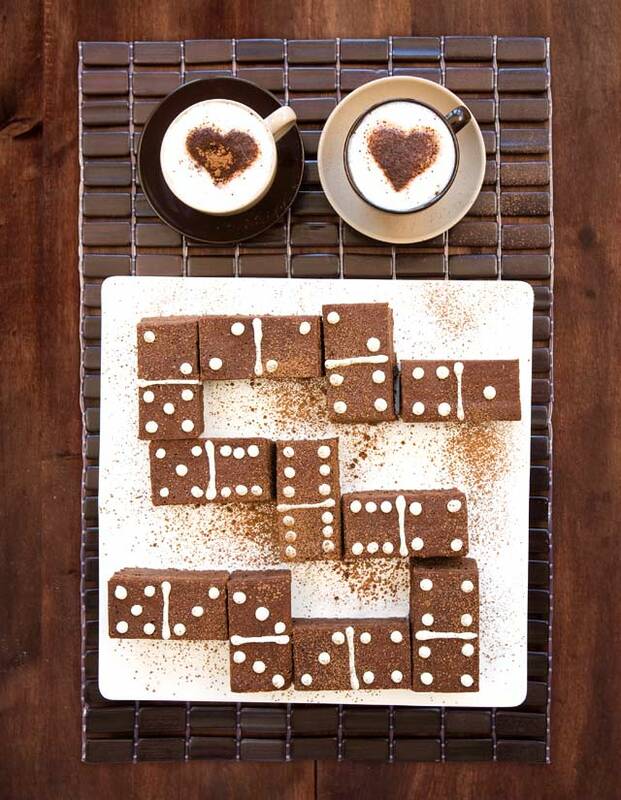 Pipe with melted white chocolate to turn into domino blocks.